Dental fillings are most commonly known for their use in treating cavities, but they can be beneficial for a number of other reasons. A filling or restoration is when decayed tooth structure, also called a cavity, is removed from the tooth and a tooth-colored replacement material is put in it’s place to restore the natural shape of the tooth. Most people will need a filling at least once throughout their life. If you have a tooth that has been damaged, a filling is a great way to ensure the remaining tooth stays safe from additional bacteria and debris. Advanced Dental Arts has a selection of fillings available, ensuring that we find the filling that best fits your unique needs, preferences, and budget. Are made up of a plastic and fine glass mixture. They are tooth-colored and typically are the most popular option for visible teeth, like the ones in front. Are extremely durable and last long than any other type of filling. They tend to be much more expensive and noticeable due to their color. Are a naturally tooth-colored material, making for those who wish to hide their fillings. They do tend to be more expensive and brittle than the other options but are highly resistant to stains. Are made up of a mixture of metals, meaning it will not blend into your teeth. However, these fillings are very durable and can last up to a decade or longer. These are the most popular fillings for back teeth. 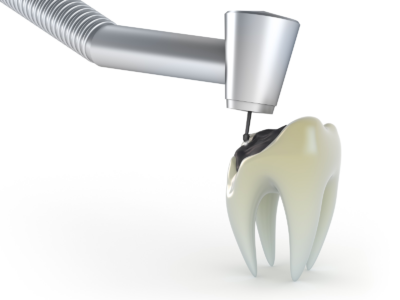 Who Will Benefit From Dental Fillings? Aside from being highly beneficial in filling in a cavity that has been cleared of the decayed portion of the tooth, dental fillings are great for patients with damaged teeth. Certain types of fillings can also be used to repair cracked or broken teeth, teeth that have been severely worn down, or even discoloration. In severe cases of extreme fracture or decay to the tooth, a crown may be recommended to help achieve the desired results.